Writing reviews I think are some of my favourite posts to do as some how I can just get straight into them and love sharing my views on products with you, find my latest one here. I adore trying different skincare products as I like to find out what works for my skin, I even have my boyfriend doing it too! 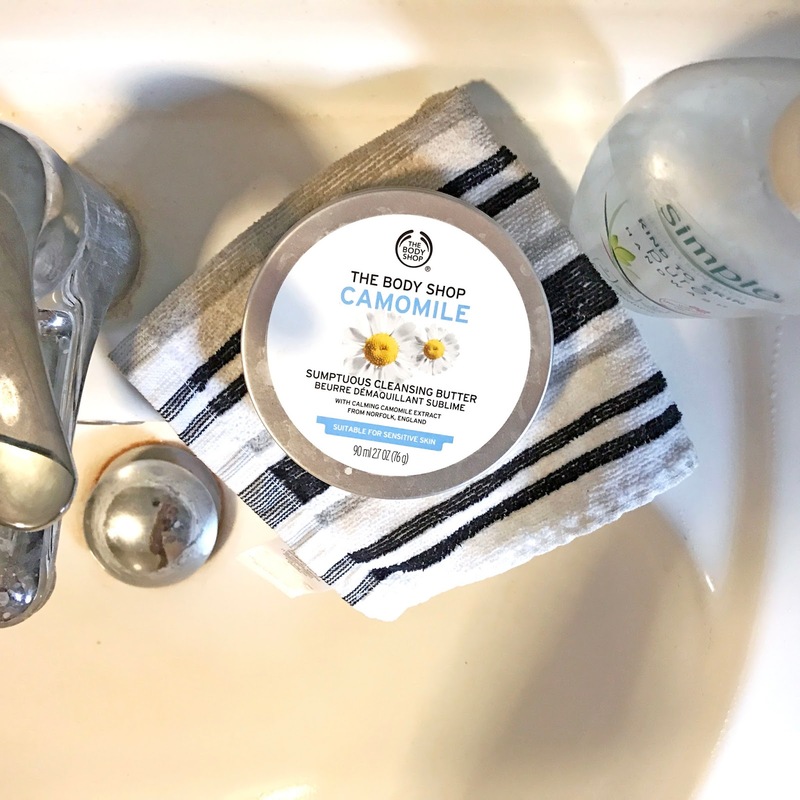 The Body Shop is a high street brand that I am pretty sure everyone has heard of, they provide excellent skin, bath and body products for a much more affordable price. 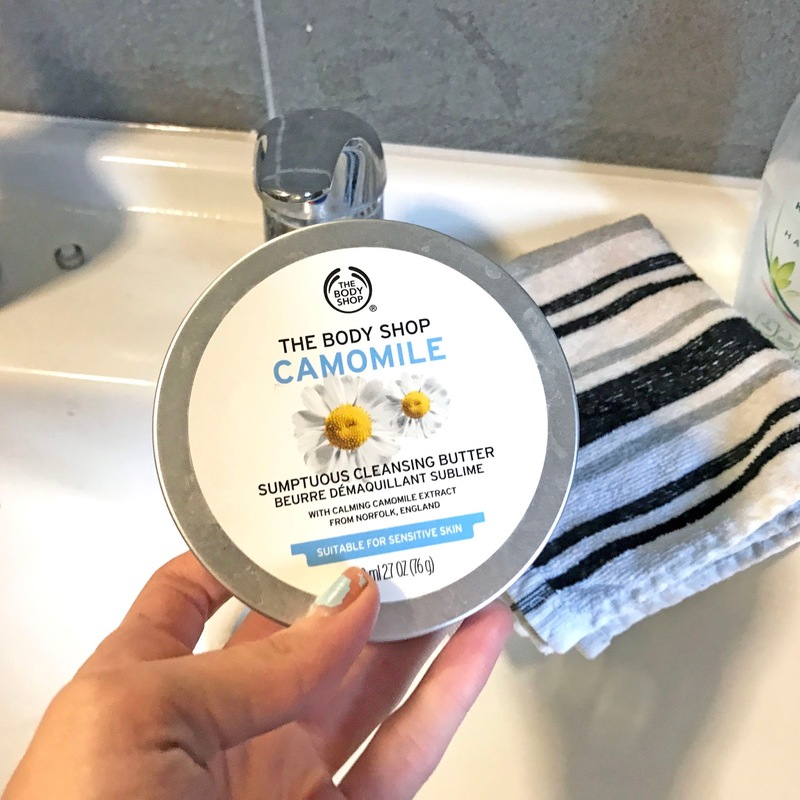 A few years ago they released a range of cleansing butters, with the Camomile one being all over beauty guru blogs and Youtube channel. 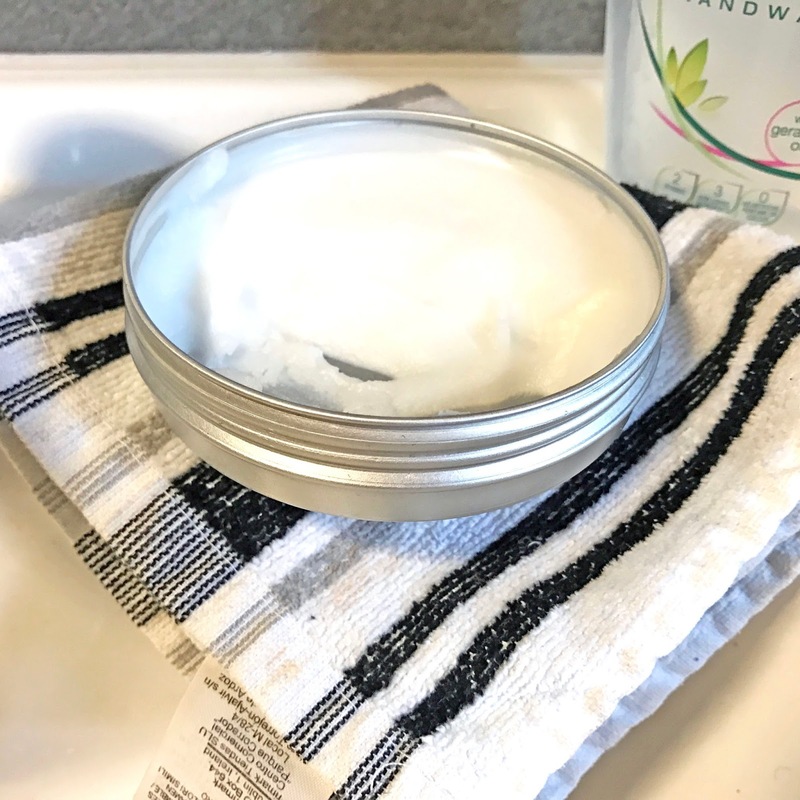 It was said to be a dupe for the Emma Hardy Cleansing balm. Due to the Emma Hardy one being out of my student price point I have opted for the more budget friendly version so here is what I think. I actually asked for this for Christmas as I knew it was something useful that I would use, as I said earlier the price is reasonable for the amount of product you get and the quality of it as it is just £10. I have dry skin so had to make sure that the butter would not increase or cause any irritation. Which it does not, in fact with the silky nourishing texture of the butter, once I have melted and rinsed it off my face it leaves my skin feeling extremely soft. 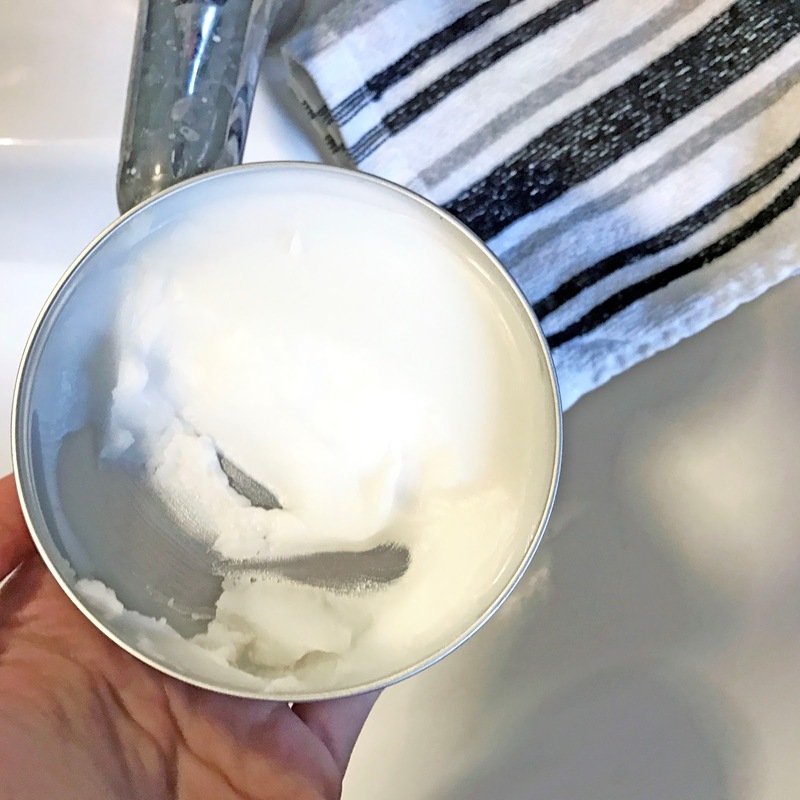 What I love most about this as I use as a first cleanse it gets pretty much all my make-up off including eyes so takes me a little less time in my skincare routine. Also, a little goes a very long way as you can see (from my slightly yellow images, uni house lighting is not great) I have used this pretty much every night since Christmas and I’ve not reached a quarter of the tin. As for the packaging it is simple and does the job, a thin metal tin that keeps the product in the best condition and is easy to store. The only thing I would love is if they brought out a miniature version for travel. You could even re use the tin afterwards. Overall, I am so glad I finally have this product in my skincare stash as it takes all my base make-up and pretty much all my eye make-up off in one go so then I can go straight into my second cleanse and tone. I now really want to try the cleansing oil version. This sounds right up my street! I love The Body Shop products.